I‘m in the process of creating an Independent Community TV society (ICTV) in the Mid Vancouver Island area that will produce in-depth, hour-long programs about social justice and environmental issues for the local Shaw ‘community access’ cable channel. Many activists I mention this to, immediately tell me they don’t have cable and they don’t watch TV. Volunteering for community cable was something I did before I went to broadcasting school to see if TV production was a career I wanted to pursue. The pay is poor and it’s not something I thought I would be doing after I had completed my diploma. So why am I bothering now when I have a productive career as a filmmaker? Community access cable is an important resource and it is certainly not one that progressive movements should waste. All kinds of people watch community cable, many of whom are not likely to ever search out any of my youtube channels or purchase my films. When I started broadcasting school, 95% of the graduates found jobs in the industry. I graduated in 1991, six months after CBC laid-off half their employees and shut down half their stations. That year 5% of graduates found work in the industry. Rather than look for another career, I started to produce independently; and after moving back to BC, I went to the Rogers station in Victoria to pitch a weekly show on environmental issues. At the time, it was relatively easy to get a show on community cable. I was given access to the studio, the field equipment, a list of volunteers; provided with a weekly air date and repeat times; told I could get sponsors to pay myself for the work and told if I needed any help, I should just ask staff. I produced the show for about a year – learned a lot, met interesting people and had a good time. The highlight program was an expose I did on logging in the Victoria watershed. Mehdi Najari, who worked at the Western Canada Wilderness Committee and Vicki Husband who was with the Sierra Club, approached me to see if I would cover the story because the mainstream media outlets weren’t interested. We flew over the watershed and then trespassed into it the next day hauling sixty pounds of video equipment down a logging road to document the devastation that logging had caused to the tributary creeks and the surrounding environment. I was able to share the footage I captured with mainstream TV outlets because I retained the rights to everything I shot for the program. Within ten days of my program being aired, the outcry from the public pushed the Capitol Regional District to put a moratorium on logging in the watershed, which remains in place today. In 2002, I approached Shaw Cable in Nanaimo about doing a half hour weekly show and they told me that they don’t do that anymore. If I wanted I could contribute segments up to three minutes long for The Daily show which repeats several times a day. I did this for over four years creating several hours worth of one to three minute segments on environmental and social justice issues but it was hard to have a thorough discussion about such complicated issues within three minutes. There are all kinds of speakers, presentations and events in our area that more people should see. We could be broadcasting many different public meetings including all candidates forums during elections. After speaking with Sid Tan, a community TV activist in Vancouver who helped create ICTV and ACCESS Vancouver and Jack Etkin of ICTV Victoria I learned about CRTC policy 2002-61 which reaffirms the right of community access to community cable stations, I approached Shaw Cable in Nanaimo again. They said I could submit a proposal for consideration and I could find sponsors for the program but even though it was my labour, and I would be using my equipment, vehicle and tape, they wanted sixty percent of any sponsorship money. I balked, I needed to earn a living, not collect sponsor money for Shaw Cable. At the end of my last film ‘You, Me and the SPP: Trading Democracy for Corporate Rule’, I list a number of things that individuals and communities can do to combat the steady increase of corporatization. One of the things we need to work towards is comprehensive, public access media systems to replace corporate concentration and monopolization of media outlets. I’ve been intending to put my money where my mouth is for several years now. Youtube has been a great innovation for independent media producers but it lacks the community participation of community TV. It’s true that many people have come across my films and videos by doing random searches on the web, but in general the videos are seen because people of “like mind” have sent them the links. Community cable TV has the advantage of reaching an audience who watches to see what is going on in their community or who wants to see stories about their own community group, or happens to be channel surfing and stops to watch. This audience goes beyond those who are already leaning towards your particular perspective. This spring I started working for a new movement building organization called Smart Change www.smartchange.ca One of the projects I developed is the Cable Access Coalition. The objective of this campaign is to make community organizers and activists across Canada aware that according to CRTC policy 2002-61, we have a right to access our local ‘community access’ cable stations. Community cable stations are funded through a 5% levy which every cable subscriber pays. This levy adds up to $115 million across Canada. While the focus of these community cable stations is on local production, the cable companies often play programming that is produced centrally hundreds of miles from the communities it broadcasts in. With this in mind, I set out to not just encourage community groups across Canada to access their community stations with programming they create, I decided to provide some programming to show them how easy the access process is. I was attending the Peoples Summit leading up to the G20 summit in Toronto to host a film series as part of the “Smart Docs” project of Smart Change. While I was in Toronto, I documented the Peoples Summit, the Shout Out for Global Justice and the G8 and G20 protests with the intent of packaging programming for community cable across Canada. The first program I have completed is an edited version of the Shout Out for Global Justice, a live event presented by the Council of Canadians at Massey Hall on the eve of the G20. The Shout Out presents the People First agenda and features Maude Barlow, Vandana Shiva, Naomi Klein and other prominent activists and advocates. These speakers lay out in clear detail the myriad of reasons why 25,000 people were going to take to the streets the next day to protest against the G20. Broadcasting this information is important because most Canadians’ knowledge of that protest consists of burning police cars and window smashing by a very small group of so-called anarchists (and perhaps undercover police officers). The mainstream media didn’t cover the peaceful protests or bother to delve into why people were protesting the G8 and G20 – burning police cars was much more compelling. I have sent the Shout Out for Global Justice to 15 communities across Canada and I’m getting more requests weekly. The program aired on the Shaw community channels in South and Central Vancouver Island on the weekend of August 20th and there are air-dates coming up in many other communities. That program will be followed with a second G20 related program that features a series of short videos produced by filmmakers and journalists including Velcrow Ripper, Press for Truth and myself. This program will provide some alternative perspectives of the protests that saw the largest mass arrest in Canadian history and an overwhelming display of state and police abuse of power. I will also be editing several programs from the Vancouver Island Water Watch, “Your Water Your Future” conference held in May 2010. 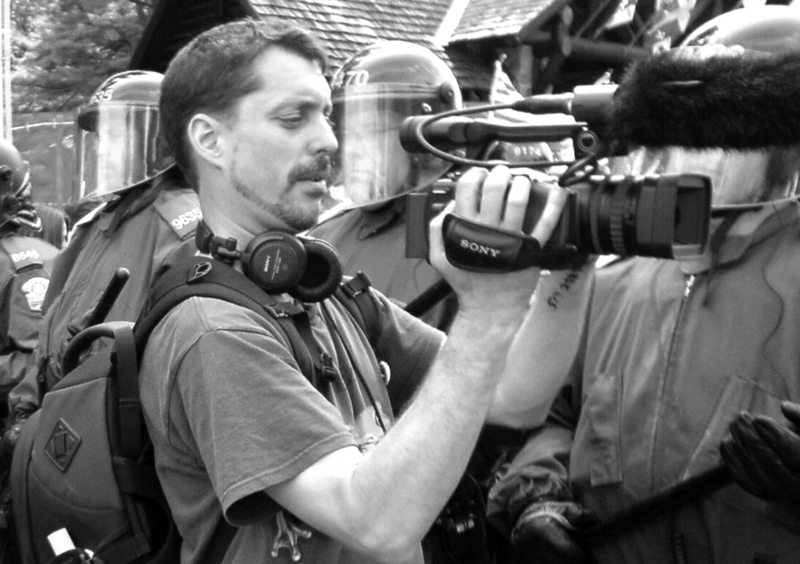 Paul Manly is an independent filmmaker, media activist and community organizer. Currently he works part time as a project manager for Smart Change a new networking and social movement building organization based in Vancouver. 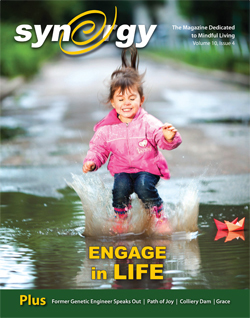 For more information visit www.smartchange.ca and check the projects page. This entry was posted on Friday, September 24th, 2010 at 6:23 am	and is filed under FEATURE. You can follow any responses to this entry through the RSS 2.0 feed. You can leave a response, or trackback from your own site.